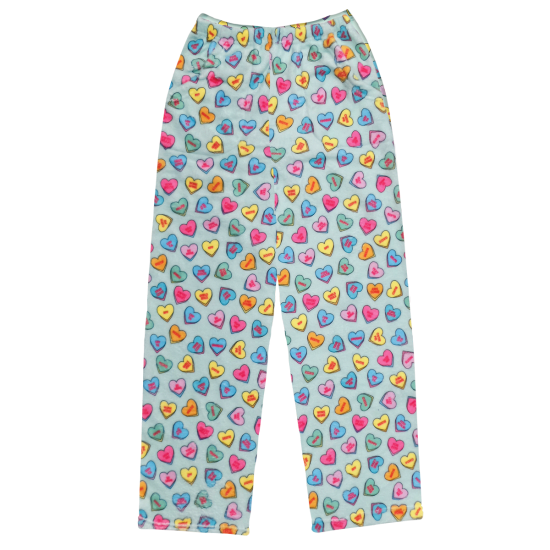 Get ready for love at first sight when you lay eyes on our candy hearts plush pants. 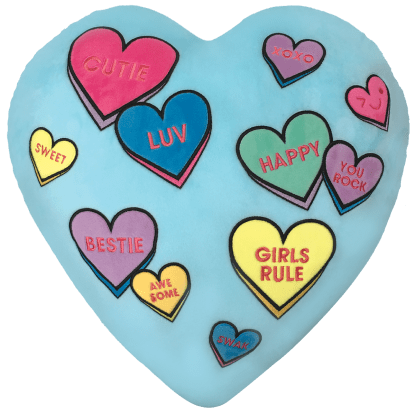 These super cozy fleece pants are covered with hearts that have messages like "Girls rule", "BFF" and "Be mine." 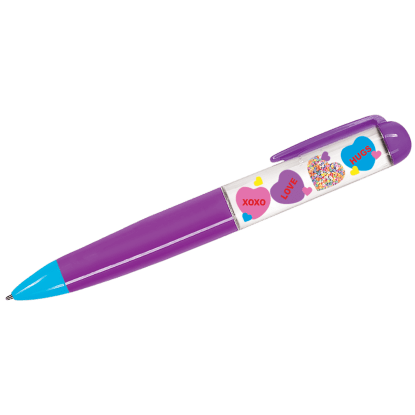 These pants will be the hit of any kids or tween sleepover!